“Ye know that ye were not redeemed with corruptible things . . . but with the precious blood of Christ as of a lamb without blemish and without spot”-I Pet. i. 18, 79. 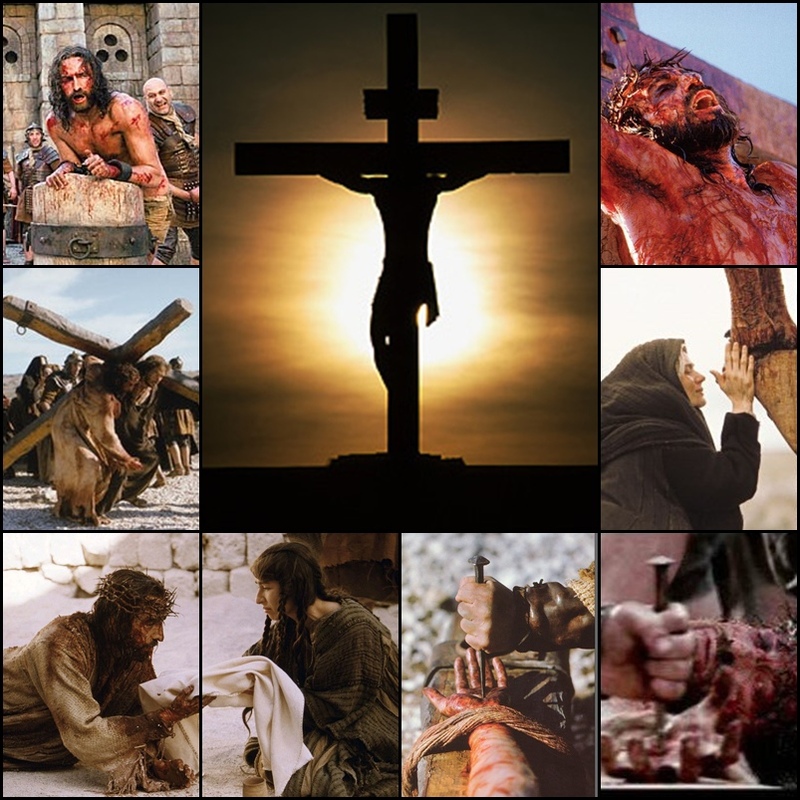 THE shedding of His blood was the culmination of the sufferings of our Lord. The atoning efficacy of those sufferings was in that shed blood. It is therefore of great importance that the believer should not rest satisfied with the mere acceptance of the blessed truth that he is redeemed by that blood, but should press on to a fuller knowledge of what is meant by that statement, and to learn what that blood is intended to do in a surrendered soul. Its effects are manifold, for we read in Scripture of RECONCILIATION through the blood; CLEANSING through the blood; SANCTIFICATION through the blood; UNION WITH GOD through the blood; VICTORY over Satan through the blood; LIFE through the blood. These are separate blessings but are all included in one sentence: REDEMPTION BY THE BLOOD. It is only when the believer understands what these blessings are, and by what means they may become his, that he can experience the full power of REDEMPTION. Before passing on to consider in detail these several blessings let us first inquire, in a more general way, concerning THE POWER OF THE BLOOD OF JESUS. I. WHEREIN DOES THE POWER OF THAT BLOOD LIE? or what is it that gives to the blood of Jesus such power? How is it that in the blood, alone, there is power possessed by nothing else? The answer to this question is found in Leviticus xvii. 11. “The life of the flesh is in the blood” and “I have given it to you upon the altar to make an atonement for your souls, for it is the blood that maketh an atonement for the soul.” It is because the soul, or life, is in the blood; and that the blood is offered to God on the altar, that it has in it redemptive power. ii. But the power of the blood lies above everything else in the fact that it is offered to God on the altar for redemption. When we think of blood as shed, we think of death; death follows, when the blood or the soul is poured out. Death makes us think of sin, for death is the punishment of sin. God gave Israel the blood on the altar, as the atonement or covering for sin; that means-the sins of the transgressor were laid on the victim, and its death was reckoned as the death or punishment for the sins laid upon it. The blood was thus the life given up to death for the satisfaction of the law of God, and in obedience to His command. Sin was so entirely covered and atoned for, it was no longer reckoned as that of the transgressor. He was forgiven. But all these sacrifices and offerings were only types, and shadows, till the Lord Jesus came. His blood was the reality to which these types pointed. His blood was in itself of infinite value, because it carried His soul or life. But the atoning virtue of His blood was infinite also, because of the manner in which it was shed. In holy obedience to the Father’s will He subjected Himself to the penalty of the broken law, by pouring out His soul unto death. By that death, not only was the penalty borne, but the law was satisfied, and the Father glorified. His blood atoned for sin, and thus made it powerless. It has a marvelous power for removing sin, and opening heaven for the sinner; whom it cleanses, and sanctifies, and makes meet for heaven. It is because of the Wonderful Person whose blood was shed; and because of the wonderful way in which it was shed, fulfilling the law of God, while satisfying its just demands, that the blood of Jesus has such wonderful power. It is the blood of Atonement, and hence has such efficacy to redeem; accomplishing everything for, and in, the sinner, that is necessary to salvation. We read in Hebrews xiii. 20 “Now the God of peace that brought again from the dead our Lord Jesus that great Shepherd of the sheep, THROUGH THE BLOOD OF THE EVERLASTING COVENANT.” It was through the virtue of the blood, that God raised up Jesus from the dead. God’s almighty power was not exerted to raise Jesus from the dead, apart from the blood. He came to earth as surety, and bearer, of the sin of mankind. It was through the shedding of His blood alone that He had the right, as man, to rise again, and to obtain eternal life through resurrection. His blood had satisfied the law and righteousness of God. By so doing He had overcome the power of sin, and brought it to naught. So, also, death was defeated, as its sting, sin, had been removed, and the devil also was defeated, who had the power of death, having now lost all right over Him and us. His blood had destroyed the power of death, the devil and hell–THE BLOOD OF JESUS HAS OPENED THE GRAVE. He who truly believes that, perceives the close connection which exists between the blood and the almighty power of God. It is only through the blood that God exerts His almightiness in dealing with sinful men. Where the blood is, there the resurrection power of God gives entrance into eternal life. The blood has made a complete end of all the power of death, and hell ; its effects surpass all human thought. We read in Hebrews ix. 22, Christ “by His own blood entered in once for all into the holy place, having obtained eternal redemption for us.” We know that in the Old Testament Tabernacle God’s manifested presence was inside the veil. No power of man could remove that veil. The High Priest alone could enter there, but only with blood, or the loss of his own life. That was a picture of the power of sin in the flesh, which separates us from God. The eternal righteousness of God guarded the entrance to the Most Holy Place, that no flesh might approach Him. But now our Lord appears, not in a material but in the true Temple. As High Priest and representative of His People, He asks for Himself, and for sinful children of Adam, an entrance into the presence of the Holy One. “That where I am, there they may be also” is His request. He asks that heaven may be opened for each one, even for the greatest sinner, who believes in Him. His request is granted. But how is that? It is through the BLOOD. He entered THROUGH HIS OWN BLOOD. THE BLOOD OF JESUS HAS OPENED HEAVEN. So it is ever, and always, through the blood that the throne of grace remains settled in heaven. In the midst of the seven great realities of heaven (Heb. xii. 22, 24), yes, nearest to God the judge of all, and to Jesus the Mediator, the Holy Spirit gives a prominent place to “THE BLOOD OF SPRINKLING.” It is the constant “speaking” of that blood that keeps heaven open for sinners, and sends streams of blessing down on earth. It is through that blood that Jesus, as Mediator, carries on, without ceasing, His mediatorial work. The Throne of grace owes its existence ever, and always, to the power of that blood. Oh, the wonderful power of the blood of Christ! Just as it has broken open the gates of the grave, and of hell, to let Jesus out, and us with Him; so it has opened the gates of heaven for Him, and us with Him, to enter. The blood has an almighty power over the kingdom of darkness, and hell beneath; and over the kingdom of heaven, and its glory above. Since it avails so powerfully with God and over Satan, does it not avail even more powerfully with man, for whose sake it was actually shed ? We may be sure of it. The wonderful power of the blood is especially manifested on behalf of sinners on earth. Our text is but one out of many places in Scripture where this is emphasized. “Ye were redeemed from your vain conversation with the precious blood of Christ” (I Pet. 1. 18, 19). The word REDEEMED has a depth of meaning. It indicates particularly deliverance from slavery, by emancipation or purchase. The sinner is enslaved, under the hostile power of Satan, the curse of the Law, and sin. Now it is proclaimed “ye are redeemed through the blood,” which had paid the debt of guilt, and destroyed the power of Satan, the curse, and sin. Where this proclamation is heard and received, there Redemption begins, in a true deliverance from a vain manner of life, from a life of sin. The word “REDEMPTION” includes everything God does for a sinner from the pardon of sin, in which it begins (Eph. i. 14; iv. 30) to the full deliverance of the body by Resurrection (Rom. viii. 24). Those to whom Peter wrote (r Pet. i. 2) were “Elect -to the sprinkling of the blood of Jesus Christ.” It was the proclamation about the precious blood that had touched their hearts, and brought them to repentance; awakening faith in them, and filling their souls with life and joy. Each believer was an illustration of the wonderful power of the blood. Further on, when Peter exhorts them to holiness, it is still the precious blood which is his plea. On that he would fix their eyes. For the Jew, in his self-righteousness, and hatred of Christ; for the heathen, in his godliness, there was only one means of deliverance from the power of sin. It is still the one power that effects daily deliverance for sinners. How could it be otherwise? The blood that availed so powerfully in heaven and over hell, IS ALL-POWERFUL ALSO IN A SINNER’S HEART. It is impossible for us to think too highly, or to expect too much, from the power of Jesus’ blood. But faith is largely dependent on knowledge. If knowledge of what the blood can accomplish is imperfect, faith expects little, and the more powerful effects of the blood are impossible. Many Christians think that if now, through faith in the blood, they have received the assurance of the pardon of their sins, they have a sufficient knowledge of its effects. They have no idea that the words of God, like God Himself, are inexhaustible, that they have a wealth of meaning and blessing that surpasses all understanding. They do not remember that when the Holy Spirit speaks of cleansing through the blood, such words are only the imperfect human expressions of the effects and experiences by which the blood, in an unspeakably glorious manner, will reveal its heavenly life-giving power to the soul. Feeble conceptions of its power prevent the deeper, and more perfect manifestations of its effects. As we seek to find out what the Scripture teaches about the blood, we shall see, that faith in the blood, even as we now understand it, can produce in us greater results than we have yet known, and in future, a ceaseless blessing may be ours. Our faith may be strengthened by noticing what the blood has already accomplished. Heaven and hell bear witness to that. Faith will grow by exercising confidence in the fathomless fullness of the promises of God. Let us heartily expect that as we enter more deeply into the fountain, its cleansing, quickening, life-giving power, will be revealed more blessedly. We know that in bathing we enter into the most intimate relationship with the water, giving ourselves up to its cleansing effects. The blood of Jesus is described as a “fountain opened for sin and uncleanness” (Zech. xiii, i). By the power of the Holy Spirit it streams through the heavenly Temple. By faith I place myself in closest touch with this heavenly stream, I yield myself to it, I let it cover me, and go through me. I bathe in the fountain. It cannot withhold its cleansing and strengthening power. I must in simple faith turn away from what is seen, to plunge into that spiritual fountain, which represents the Savior’s blood, with the assurance that it will manifest its blessed power in me. So let us with childlike, persevering, expectant faith, open our souls to an ever increasing experience of the wonderful power of the blood. We read in St. John that “there are three that bear witness on earth, the Spirit, and the water and the blood; and these three are one” (i John v. 8). The water refers to baptism unto repentance and the laying aside of sin. The blood witnesses to redemption in Christ. The Spirit is He who supplies power to the water and the blood. So also the Spirit and the blood are associated in Hebrews ix. 14, where we read, “How much more shall the blood of Christ, who through the eternal Spirit offered himself without spot to God, purge your conscience.” It was by the eternal Spirit in our Lord, that His blood had its value and power. It is always through the Spirit that the blood possesses its living power in heaven, and in the hearts of men. The blood and the Spirit ever bear testimony together. Where the blood is honoured in faith or preaching, there the Spirit works; and where He works He always leads souls to the blood. The Holy Spirit could not be given till the blood was shed. The living bond between the Spirit and the blood cannot be broken. It should be seriously noticed, that if the full power of the blood is to be manifested in our souls, we must place ourselves under the teaching of the Holy Spirit. We must firmly believe that He is in us, carrying on His work in our hearts. We must live as those who know that the Spirit of God really dwells within, as a seed of life, and He will bring to perfection the hidden, powerful effects, of the blood. We must allow Him to lead us. When the Apostle desired to arouse believers to hearken to God’s voice, with His call to holiness, “Be ye holy, for I am holy,” he reminded them that they had been redeemed by the precious blood of Christ. They must know that they have been redeemed, and what that redemption signified, but they must above all know that “it was not by corruptible things such as silver and gold,” things in which there was no power of life, “but by the precious blood of Christ.” To have a correct perception of what the preciousness of that blood was, as the power of a perfect redemption, would be to them the power of a new and holy life. Beloved Christians, that statement concerns us also. We must know that we are redeemed by the precious blood. We must know about redemption and the blood before we can experience its power. In proportion as we more fully understand what redemption is, and what the power and preciousness of the blood are, by which redemption has been obtained, we shall the more fully experience its value. We are, alas, too easily satisfied with the first beginnings of deliverance from sin. Oh, that what remains of sin in us might become unbearable to us! May we no longer be contented with the fact that we, as redeemed ones, sin against God’s will in so many things. Surrender yourself to God the Holy Spirit. Fix the eyes of your heart on the blood. The blood on which the Throne of Grace in heaven is founded, can make your heart the temple and throne of God. You will surely experience that there is nothing to compare with the wonder-working power of the blood of Jesus. Previous Holy Week Meditations. Holy Thursday: The Last Supper.